A TrophyRing is a unique, handcrafted work of art reserved for the fantasy elite. 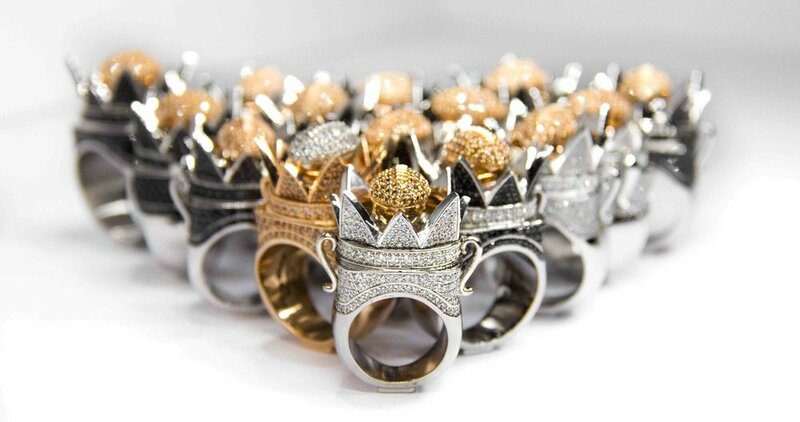 They are made from solid brass, plated with 18kt white gold, and encrusted with over 400 hand set stones. The rings are designed with a flat base allowing them to stand on their own. Wear them to your draft parties and proudly display them in your home or office. 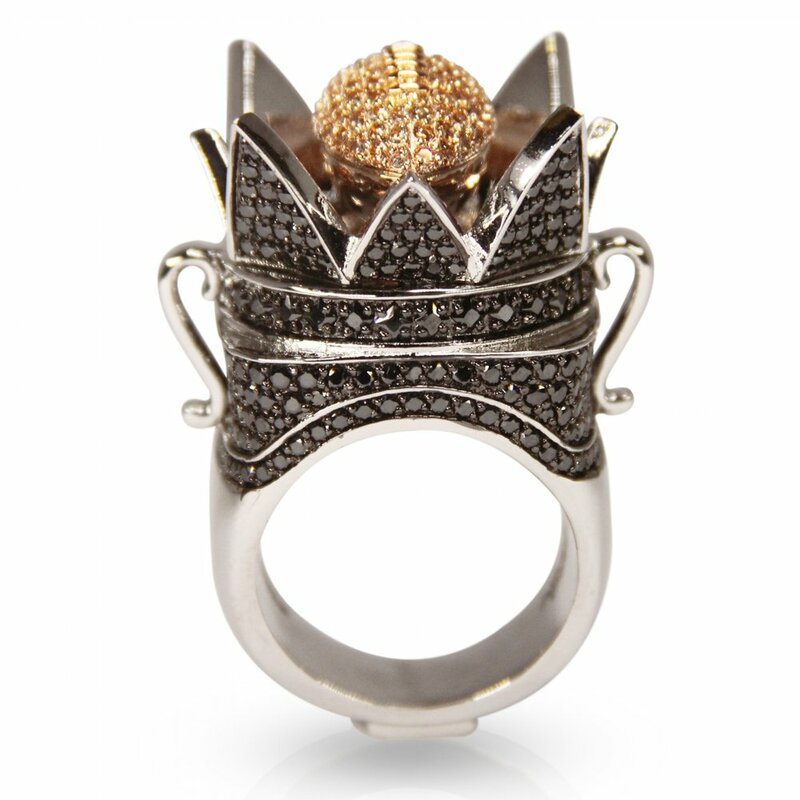 This is the ring that fantasy legends were meant to wear. TrophyRings LLC. All Right Reserved.